Why robotics? For starters, because we’re still basking in the afterglow of TUMO’s 2017 bronze win at the inaugural FIRST Global robotics competition in Washington, DC. But what do students stand to gain from learning how to build robots, and what’s the difference between a robot and, say, a coffee machine? For those of you who don’t know, we’ll share the answer later, but first, let’s talk about all the invaluable skills TUMO students gain from this focus area! 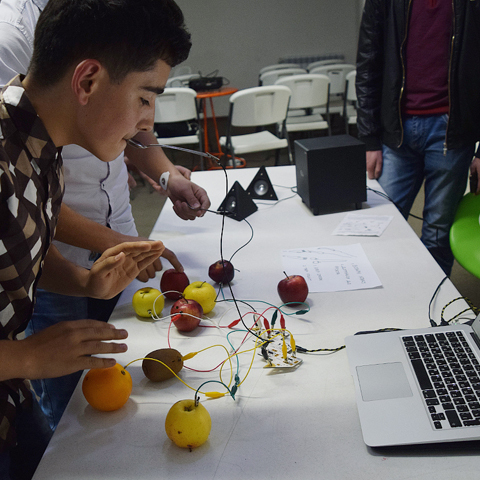 It seems counter-intuitive, but new tech isn’t the first priority for TUMO’s robotics workshops. With the speed at which technology advances today, the latest and greatest in tech is fated for obsolescence by the time TUMO students hit the workforce. So what do students learn from robotics instead? A robotics workshop leader says her workshops teach students life skills that are timelessly relevant, like creative and analytical thinking, problem-solving, team-work, and stepping out of one’s comfort zone. To start everyone off on equal footing, students in level 1 build Lego robots from basic kits while working in teams. While each robot is derived from the same kit, the learning process occurs in the journey: What’s great about teens solving the puzzle of building their robot is that spoon-feeding students information is hardly necessary – and not an effective way to learn anyway. Students solve the problems required to get their robot up and running. Indeed, teens will learn basic programming, work with sensors and motors and scratch the surface of AI to create robots that move themselves and make decisions – because a robot isn’t just a machine: It’s a machine programmed to make decisions based on given variables, which is something your coffee machine probably doesn’t do. This time around, there’s some room for creativity. Teams are formed around original robot ideas and students design, build, and program their robots out of Lego NXT kits. No idea is too big nor too small. Missing parts for your robot? Don’t fret – robotics students have access to a 3D printer and can design and print the parts they need. What’s great about robotics is that it doesn’t only encompass the STEM fields but incorporates art and design as well. In this way, students can learn from the complementary skill sets they’ve developed at TUMO and play to their unique strengths. 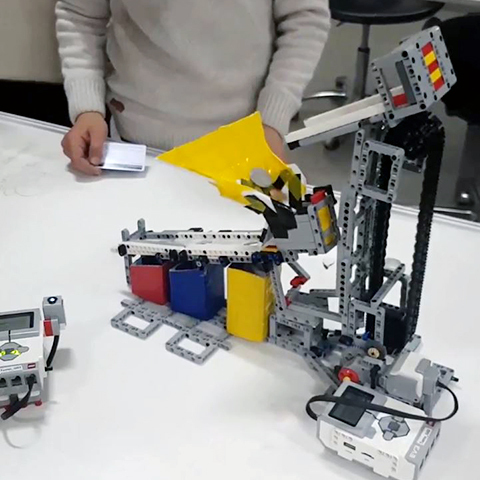 Using different engineering solutions and programming structures, teens create, build, test and present a new LEGO robot model by the end of their second level. 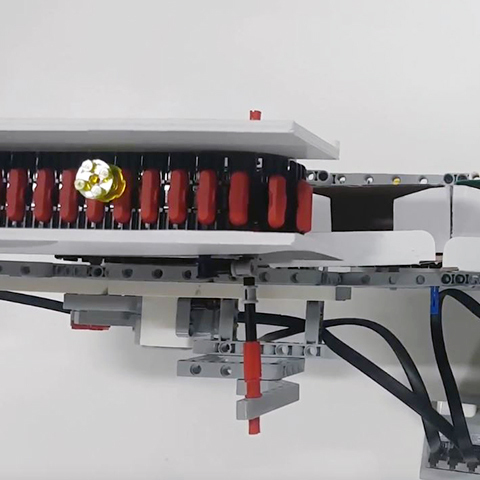 By now, students know how to engineer robots that could follow commands and make decisions, but what if we said level 3 students build robots that can communicate with other robots? It might sound like science fiction, but it’s in fact what the curriculum entails. By the end of the workshop, students will present robots that can communicate over wifi in order to carry through tasks. Robots can be engineered to communicate with other robots, with a computer, or with another device. As teens learn to work with Raspberry Pi single-board computers and Arduino open-source hardware and software, their robots are more intelligent than ever. 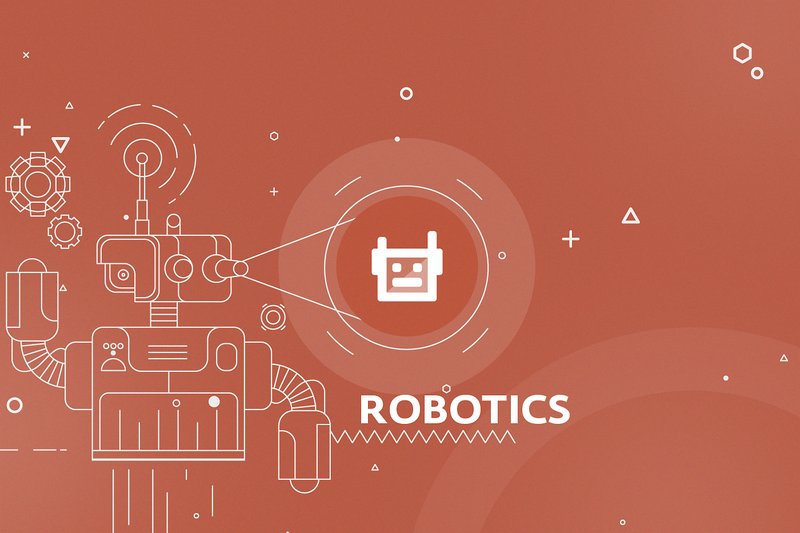 The robotics focus area develops students’ creative and analytical thinking. It combines STEM fields with art and design and teams students up in groups where their skills complement each other. According to workshop leader, “The coolest thing in this workshop is that students have the chance to create an idea and make it real, see it move, work in a real world.” As they step out of their comfort zones – working with people they might not have otherwise worked with, on projects that encourage them to think on their feet and solve puzzles, and even inventing parts for their robots! – what students end up gaining is much more valuable than how to use different technologies. They gain self-confidence, and learn life lessons and habits that are hard to come by anywhere else. Best of all, they might be able to engage their “papik” in an informed talk about robots.